Simply Street Bikes is located in Eden Prairie, MN. | Used Inventory for Sale | Harley-Davidson, Kawasaki, KTM, Suzuki, Triumph, Honda, and Victory models. Come by today or call us at 952-941-0774. Welcome to Simply Street Bikes. Minnesota’s premier used motorcycle supercenter. Here at SSB, it’s our priority to provide every customer with the Premier Motorcycle Experience. We pride ourselves on this and it shows – We were awarded Powersports Business Top 50 Dealer in 2015. An exciting and fun atmosphere. If you’ve never bought a bike from us, then you’ve never bought a bike the “right” way. Come by and let us show you just how different we are. We ride bikes, we buy bikes, we sell bikes, we do a full while-you-wait service for bikes and we provide parts and accessories. While we specialize in sport bikes, we’ve branched out and now carry everything under the sun. Whether you’re an Eden Prairie local or you’re close by in the Twin Cities, there’s simply no other option for used motorcycles that can provide the same level of service or the same variety of choices. In fact, we have the largest inventory of sport bike motorcycles for sale in Minnesota! Give us a call today at 952-941-0774. 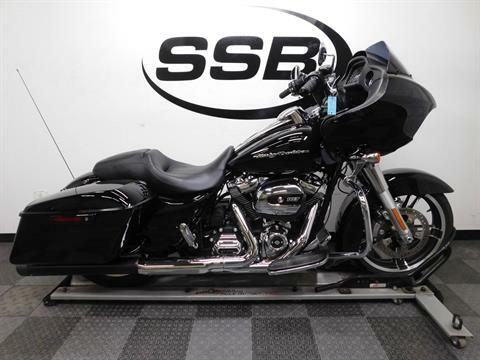 In fact, we have the largest selection of pre-owned motorcycles for sale in Minnesota!